Fix Outlook Outlook crash due to corruption in Outlook data files OST file or PST file with Microsoft Inbuilt Inbox Repair Tool (SCANPAST.exe) or using the most recommended method using third-party OST Recovery Tool and PST Recovery Tool.. Corruption in OST file generate errors in MS Outlook. The most general Outlook error is "Errors have been detected in your email id.OST file". 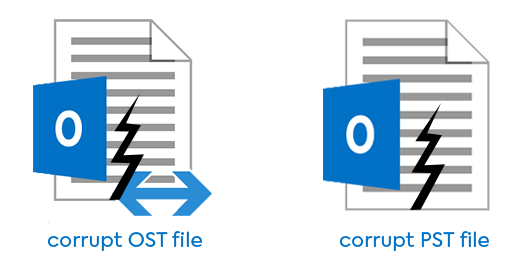 Learn how to repair & recover damaged OST file and fix issues in Outlook using OST to PST Converter..